Election 2015: What Happened and What Next? Wow, just wow. If any of you read my predictions post you'll know I wasn't expecting this. No where near this. A slight Conservative majority, Labour failing to win key marginals and the Lib Dems simply obliterated . The results in Scotland were what I expected ...but not quite to this extent (although unlike Paddy Ashdown I won't be eating my hat). Well first and foremost the polls were wrong, completely wrong. The collective gasp as the exit poll was announced illustrated the nation's shock. However, there's no point dwelling on the reasons for the inaccurate polling let's instead look at why the Tories managed to do the impossible – winning that overall majority they'd apparently been fighting for. The Conservatives campaigned very well and the Liberal Democrats simply didn't. The Tories used scare tactics to win in key marginals – they said that "Labour and the SNP will ruin the country" and it worked. The Tories held key seats against Labour, even increasing their share of the vote in places like North Warwickshire and Nuneaton. Once this happened Labour were clearly in deep trouble. They also campaigned hard against their coalition partners, ultimately proving that no Lib Dem seat is safe. The Lib Dem's campaign was also poor, continually talking about the other two parties led to people abandoning them (people voted Labour in Lab-Lib marginals to keep the Tories out and vice-versa) due to the uncertainty of a future coalition government. Instead the party should have focused on the achievements in government and their ability to get things done – rather than how they would work with the other two parties. Despite this, the loses of Vince Cable, Ed Davey and Simon Hughes were genuine shocks – leaving Clegg as the last (and tearful) man standing. Scotland clearly wanted change, Labour were unceremoniously dumped out of all but one of their Scottish seats. Labour took Scotland for granted, they did too little, too late and they paid a heavy price. The SNP, like them or loath them, stood up for Scotland and people knew they would fight tooth and nail for their country. UKIP and the Greens polled incredibly well – UKIP even came third in terms of overall national voter share. Both parties managed to come second in several seats, but only won one MP each. Nigel Farage failed to win in South Thanet, something that may change the course of the party, but the result in Hartlepool is the real surprise, showing that the anti-EU party can challenge Labour too. Obviously the Tories have won the right to govern, they've earned a slim majority of just 12 seats – even though everyone said it would be impossible. In the short term, the Tories will be reinvigorated by this result – their first election win since 1992. Cameron's already announced a Scotland Bill, giving Scotland what they promised in the referendum, and English Votes for English Laws. The long mooted EU referendum won't be far off (it might even be a year early) and the boundary reforms – stopped by their coalition partners before – will make an appearance too. Yet Cameron has a difficult task ahead, although he leads a majority, he has to steer it towards five more years of stability. He's started off well, making no changes to the key cabinet positions. However, the party will have well whipped if they have any chance of surviving that long, the Tory backbenchers have been particularly rebellious and with an EU referendum on the horizon Cameron may well have accepted a poisoned chalice and could be heading back towards the bad old days of John Major. The Liberal Democrats and Labour are both changing their leader. With the Liberal Democrats it'll be a clear choice between Tim Farron and Norman Lamb. 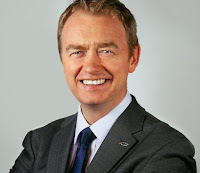 Farron is the frontrunner and may be a shoe in – he is untainted by government and is likely move the party to the left to recover lost votes. Lamb, on the other hand, is definitely Clegg's natural successor and will continue to keep the Lib Dems on the path to being a potential party of government. The Lib Dems certainly seem to be using this rout to their advantage and it may help reinvigorate them after all – they've put on 4,000 members since Thursday evening (I may even considering joining), meaning that it is far from being all over for them. Labour's leadership contest will be much more bloody, with many more people jockeying for position. Andy Burnham (Shadow Health Secretary),Chuka Umunna (Shadow Business Secretary) and Yvette Cooper (Shadow Home Secretary) seem to be the front runners – but the party need someone who not only can attract their core vote, but also re-attract the lost voters – something Miliband simply failed to do. The irony is that Tim Farron is probably the type of person Labour need. The loss of Shadow Chancellor Ed Balls's seat really illustrated how badly Labour performed, finally giving the Tories revenge for Michael Portillo's humiliation in 1997. UKIP and the Greens will be shouting for electoral reform and attempting to build on their gains in the coming months, but with Nigel Farage stepping down UKIP may struggle. However, he hints it may only be temporary and he may decide to run for Party Leader again. If not, I think we'll see Douglas Carswell (MP for Clacton), Suzanne Evans (Deputy Chairman) and possibly Paul Nuttall (Deputy Leader) battling it out for the leadership.